Description: They haven't built a circuit that could hold you! 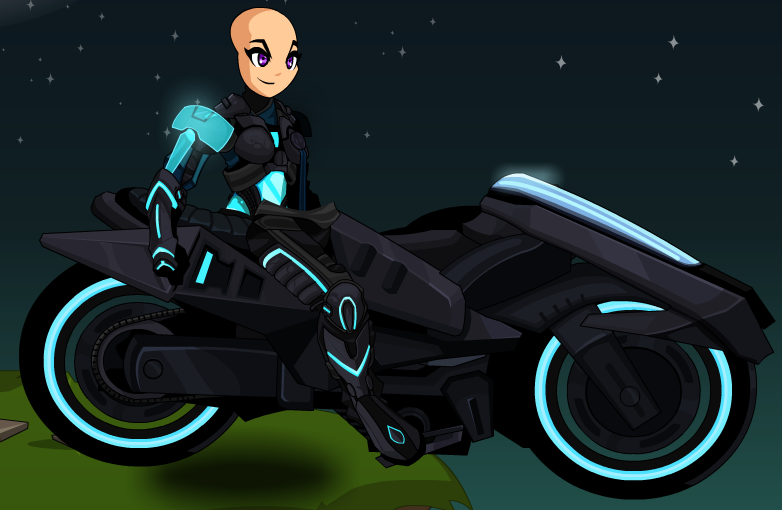 This item is a parody of the lightcycles from Tron. 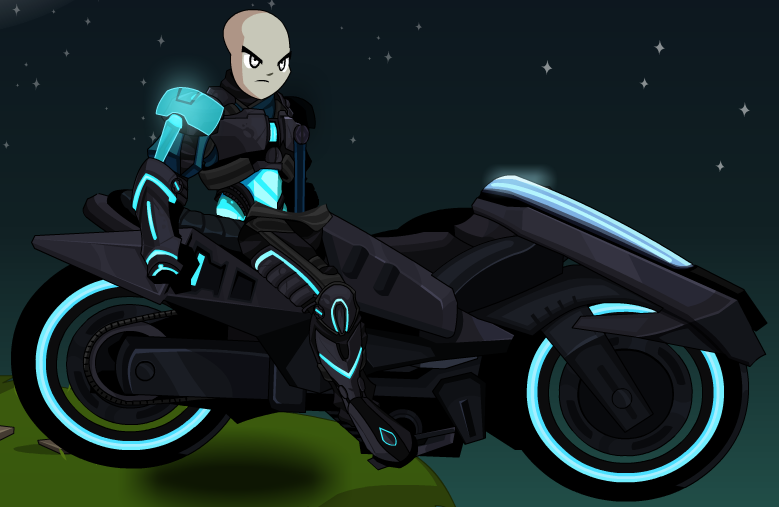 Also see Techtronic Biker (Legend). Thanks to Apus and Counterswitch.